Erste Group, a long-established Austrian bank listed on the Vienna Stock Exchange, is one of the largest financial services providers in Central and Eastern Europe, serving about 16 million clients. 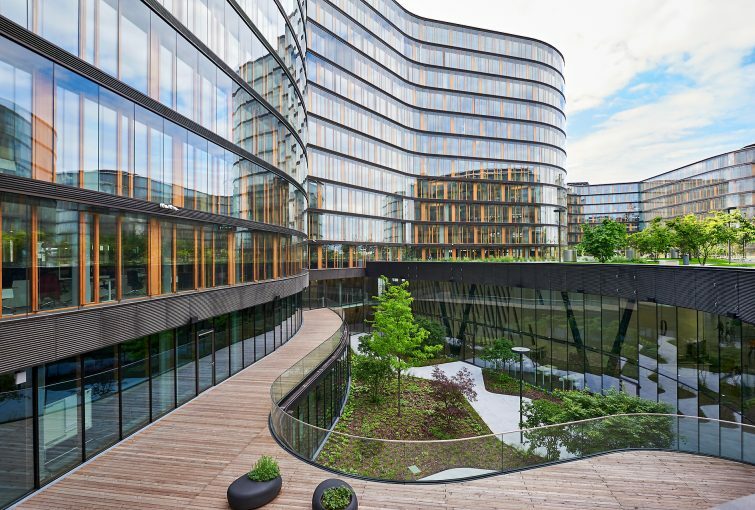 For the equipment of its new headquarters in Vienna, an innovative solution was required to turn the plans of a flexible work environment into reality. 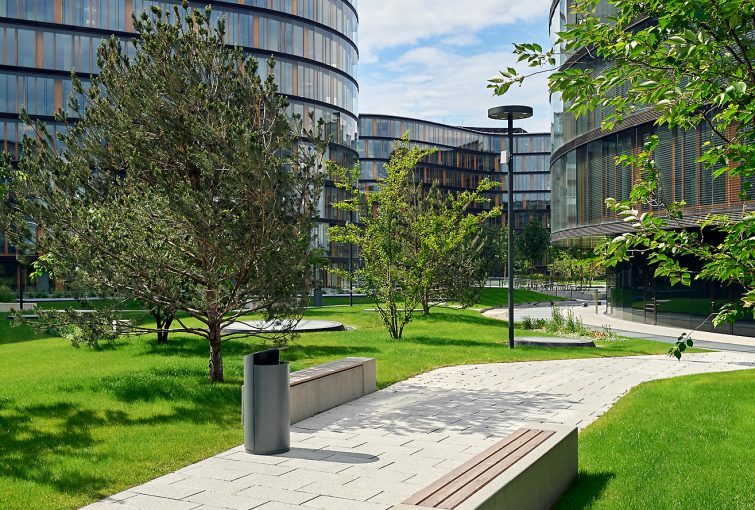 At the core of this concept, you find the idea that none of the about 4,500 Erste Campus employees has an assigned workplace. Instead, everyone is free to select any available workspace and may choose where and how he/she works – ranging from free standing desks, more quiet work areas, telephone cabins or meeting areas. The requirements of Erste Group were: Every staff member should be able to lock away his or her documents every day, lockers should be freely selectable and completely integrated into the administration software of the financial services provider, employee IDs should serve as key and granting of credentials should be easy. GANTNER was able to provide the ideal solution for the varying needs. 1 system = manifold applications! This flexible office solution consists of several thousands of multifunctional, networked GAT NET.Lock 7000 locker locks. This showcase project captivates by modern locker elements in the various open-plan offices and floors of the five building complexes. With their ID badges, staff can freely select and lock any available locker, it is however not possible to occupy additional lockers. The entire locker locking system is managed with the GAT Relaxx software. Credentials are assigned, blocked and administrated, occupancy statuses as well as alarms are displayed and statistical evaluations are easy to generate. The GANTNER interface to the bank`s HR system enables the particularly easy and reliable organisation of credentials as well as their easy migration into the GANTNER system. In the Erste Group mail room, personalized mail boxes secured by a GAT NET.Lock system, ensure private, secure, non-bureaucratic mail distribution. Even lockers used for bicycle storage, reception, dining and cleaning areas benefit from special locking solutions for staff and visitors. The GANTNER locker locking solution is ideal for this modern, flexible office work approach at the Erste Campus. Since the GANTNER system is already prepared for the latest technology trends, including NFC, and can be extended and adapted at any time, GANTNER provides an optimized, long-term solution with investment security.